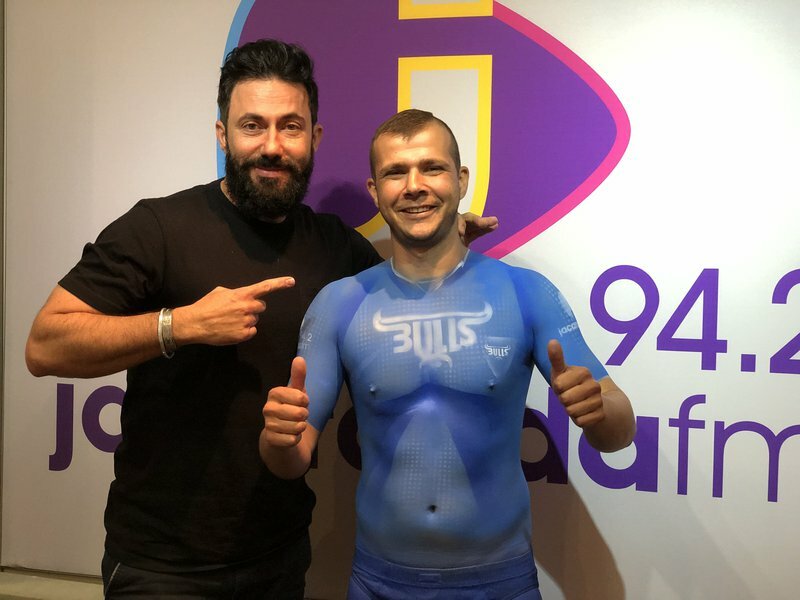 WATCH: Transforming a Sharks supporter into a Bull! Have you ever seen a Sharks supporter turn into a Bull? Watch the videos below. Henko Venter from Pretoria sent Martin Bester a voice note a few days ago saying he will do anything for Afrikaans is Groot tickets. Anything you say, Henko? Well, Martin Bester then found out that he is a Sharks supporter. Everything changed before the Bulls vs Sharks game at Loftus Versfeld. Airvolution has been airbrushing for over 20 years and specialises in the art of bodypainting. They are based in Pretoria. It was a process but we kept everyone updated! The big reveal! Henko is a Bull! He also gets to meet star player Marco van Staden! Star player and Marco van Staden Blue Bulls Rugby Union president Willem Strauss joined Breakfast with Martin Bester to talk about the big clash this weekend against the Sharks.